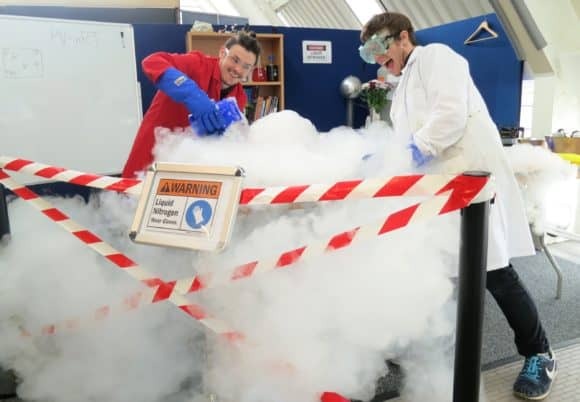 Sprinkled with some spectacular surprises, the ‘Liquid Nitrogen Show’ will showcase one of the coolest substances around, which has a remarkable effect on solids, liquids and gases. At a chilly minus 195.8 degrees Celsius, this freezing liquid can be used to shrink balloons and make objects levitate. Visitors will be amazed as they watch it freeze a banana so hard that it can be used to put a nail into a block of wood and turn a flower to dust! The show will run regularly throughout the day from Saturday 8 October though to Sunday 23 October, included as part of normal admission. Throughout the same period, visitors can also step inside ‘The Lab’ – ever wanted to build a rocket or make a gloopy mess? With regularly changing themes, The Lab is the ideal place for budding scientists to hang out and get stuck in!